Dimensions in mm (Ø x H) 350 x 450 Integr. UVC /..
Net weight (kg) 5.22 Length 235 mm .. Combination of mechanical biological cleaning and effective UVC technology Incl. OASE C.. 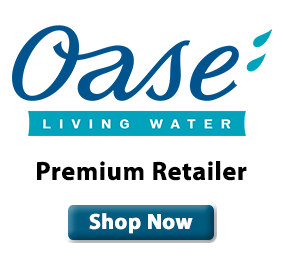 The Oase BioTec 70mm 1000mm Filter Pipe is used on the exit side of many of the Oase BioSmart and.. The Oase BioTec 70mm 45º Bend is used on the exit side of many of the Oase BioSmart and BioTec fi.. The Oase BioTec 70mm 480mm Filter Pipe is used on the exit side of many of the Oase BioSmart and .. The Oase BioTec 70mm 90º Bend is used on the exit side of many of the Oase BioSmart and BioTec fi..
Oase's New Biotec Premium 80000 is a smaller version of the popular Proficlear Premium..
Dimensions in mm (L x B x H) 788 x 590 x 445 Rated vol..
Dimensions in mm (L x B x H) 788 x 590 x 545 Rated vol..
Dimensions in mm (L x B x H) 788 x 590 x 645 Rat..
Dimensions in mm (L x B x H) 788 x 590 x ..